At Suzan Johnston Australia we are totally committed to producing the highest calibre of Child Care Educators – quality graduates that are truly dedicated, capable of providing the best possible standard of care for children, and have the potential and confidence to be future leaders and mentors to others within the industry. This comprehensive course will enable you to gain exceptional skills, knowledge and a nationally recognised qualification to prepare you for employment as an outstanding educator and professional within the children’s services industry. Our CHC50113 Diploma of Early Childhood Education and Care is a highly comprehensive course, beginning with learning the fundamentals of working in children’s services (CHC30113 Certificate III in Early Childhood Education and Care units) and gradually building your skills and knowledge to an advanced level (Diploma of Early Childhood Education and Care units). 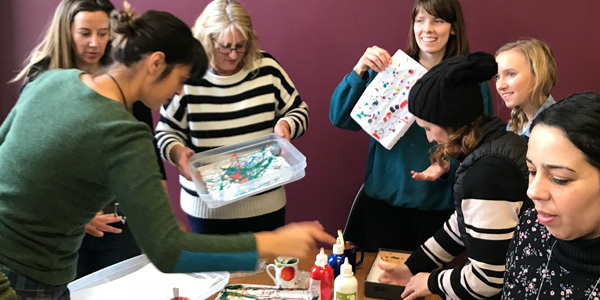 The Diploma of Early Childhood Education and Care addresses the skills and knowledge required to provide care for individuals and groups of children, and to plan activities facilitating their leisure and play, enabling them to achieve their full potential. You will only be required to attend face-to-face classes every SECOND Saturday (excluding public holidays). In addition to these scheduled times, you will also be required to complete regular homework (approximately 5 – 6 hours of homework per week). You will also be required to complete a MINIMUM of 240 hours of practical placement (usually scheduled one day per week). Learners who are already employed as educators within the industry can contribute any paid hours of employment towards meeting the practical placement requirements. Our Enrolment Form includes important information on forthcoming commencement dates, weekly payment plans and enrolment procedures. If you would like to receive the Enrolment Form for our CHC50113 Diploma of Early Childhood Education and Care please contact us and we will send a copy (along with other additional course information) to you promptly. Do I need to complete the Certificate III in Early Childhood before I enrol in the Diploma of Early Childhood? No. There are two different training pathways available to anyone considering enrolling in a child care course in Melbourne. Pathway 1: Enrol and complete the Certificate III in Early Childhood FIRST, to gain a full qualification BEFORE enrolling into the Diploma course. With this training option, when you are ready to continue into the diploma, you will receive credits for all the units you have successfully completed in your Certificate III. Accordingly your diploma course fees and your course duration will also be reduced too. With this pathway, you will receive TWO qualifications – a Certificate III and a Diploma. Pathway 2: Enrol straight into the Diploma of Early Childhood (WITHOUT completing the Certificate III in Early Childhood first). With this training option, you will still cover the majority of the Certificate III content before you commence the more challenging Diploma units. However, with this pathway, you will only receive ONE qualification – a Diploma – as no Certificate 3 qualification will be issued. Will I need to buy textbooks during my diploma of childcare course? In addition to the child care course fees, you will also be required to purchase 3 textbooks (valued at $220.00). These text books can be purchased directly from Suzan Johnston Australia upon your commencement in your child care course. You will also be required to pay an additional fee for first-aid training (approximately $110.00). Please see course enrolment form for more details. Will I need to arrange my own Practical Placement during my diploma in childcare course? Practical Placement is an important and mandatory component of all child care courses. Accordingly, we will assist you in finding and co-ordinating your practical placement. Over the past 25 years Suzan Johnston Australia has forged strong relationships within the children’s services industry and we have a network of child care centres who regularly (and very happily) host our students’ practical placements. Learners who are already employed as educators within the industry can contribute any paid hours of employment towards meeting the practical placement requirements of their diploma of childcare. Can I gain employment whilst I’m completing the Diploma of Early Childhood Course? Our reputation and our success in producing quality and well-trained diploma educators is second to none. As a result the majority of our diploma in childcare students are able to gain ongoing part-time or casual employment as a result of their practical placement (whilst they are still completing their studies). Any paid hours of employment can be contributed towards meeting the practical placement requirements of their diploma of childcare. Does the diploma of childcare course include exams? Our child care courses do not include any scary or stressful exams. Assessments generally involve completing a range of relevant and interesting exercises/activities. You will also be observed and assessed performing your duties within the workplace (during your practical placement). Do you offer on-site training in the workplace for educators who wish to undertake or upgrade to the diploma in childcare? Yes! For educators who have current and ongoing employment (full-time or part-time) at a centre and who want to either gain a qualification or further their studies, we can come to you! This flexible training option can be delivered at your centre, at a time that suits you. The on-site child care courses are also fully-customised to reflect your previous studies and/or industry experience (with credit transfer and/or RPL available to eligible learners). Why don’t you offer the Diploma of Children’s Services online? Suzan Johnston is committed to producing child care educators that are highly trained, confident professionals, who are capable of providing the best possible standard of care for children. Year after year, statistical studies have also shown that learners who undertake a child care course online often find it challenging to engage with the complexity of both the learning materials and the assessments, resulting in considerably lower course completion rates. It is our belief that the best learning outcomes for all Diploma of Early Childhood Education and Care learners can only be achieved when training/assessment is conducted within a supportive face-to-face classroom environment. We have chosen not to deliver child care courses online, ensuring that all child care courses are delivered face-to-face within a relaxed, supportive and highly practical learning environment. Our small class sizes ensure that our trainers can work closely with each student, offering personalised help, support and encouragement. What are the career prospects for students who graduate from a diploma in child care course in Melbourne? It is anticipated that the child care industry will continue to experience enormous and unprecedented growth and expansion (with approximately 450 new child care centres opening within Victoria in the 2018/2019 period). Accordingly, industry demand for quality educators will continue to exceed supply. At Suzan Johnston, the majority of our diploma in childcare students successfully secure employment halfway through their course! What are the career opportunities for students who graduate with a Suzan Johnston diploma in child care? Based on our industry feedback, it is anticipated that the child care industry will continue to experience enormous and unprecedented growth and expansion (with approximately 450 new child care centres opening within Victoria in the 2018/2019 period). Accordingly, industry demand for quality educators (who hold a Diploma of Early Childhood qualification) will continue to exceed supply. Our Diploma of Early Childhood Education and Care has been designed to empower learners with the highest calibre of skills and knowledge. With our highly respected qualification, our diploma graduates can gain employment in a wide variety of roles including Child Care Educator (within either a child care centre or kindergarten) through to roles as a Centre Manager/Director/Owner. Once I have enrolled in the Diploma in Early Childhood Education, what kind of training delivery can I expect? How much homework is involved? 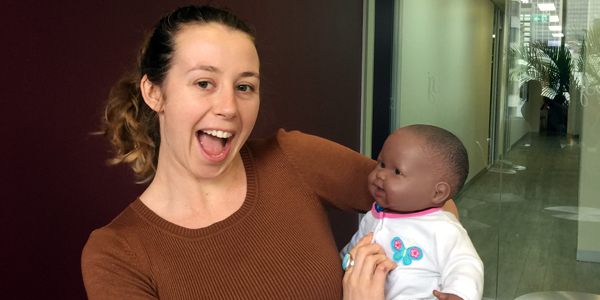 The delivery mode for our nationally recognised child care courses is face-to-face within a classroom environment. Your attendance of scheduled classes is important as every lesson is packed full with important information, dynamic discussions, hands-on practical exercises, role-plays, games and activities. In addition to the scheduled training sessions, this childcare course requires you to spend between 4 – 8 hours per week on assigned homework tasks. Am I eligible to enrol in a government funded child care course? Our CHC50113 Diploma of Early Childhood Education and Care is approved for government subsidised training, so if you are eligible, you may only have to pay a small portion of the course fee (whilst the government subsidises the rest). Working out if you are eligible for a government subsidised child care course can be a little confusing, so let one of our friendly consultants clarify this with you over the phone – it will only take a minute! Are there any Entry Requirements for the Diploma of Early Childhood Education and Care? Prior to your enrolment in our Diploma child care course you will be required to attend a pre-training interview and complete a language, literacy and numeracy assessment. These entry requirements are designed to assist us in determining your suitability for the course and to assist with the planning of any learning support requirements. What study pathways are available to me after I finish the CHC50113 Diploma of Early Childhood Education and Care? Should you decide to further your studies after completing the Diploma of Early Childhood, you may transition to a higher-level child care qualification with credits into a Bachelor’s degree at university. How do I enrol in the CHC50113 Diploma of Early Childhood Education and Care? Step 1: Contact us to arrange an appointment/interview time. Step 2: Attend your interview session at our training centre. This interview will be extremely relaxed and informal. You will be given the opportunity to learn more about our child care courses, ask lots of questions, tour our training centre and to observe our child care classes ‘in action’. have your eligibility and your enrolment in our CHC50113 Diploma of Early Childhood Education and Care confirmed on the spot. Why are the Suzan Johnston child care courses different to any another RTO or TAFE courses? Approximately 97% of our Diploma in Early Childhood course graduates are successful in finding employment within 3 – 4 weeks of course completion!